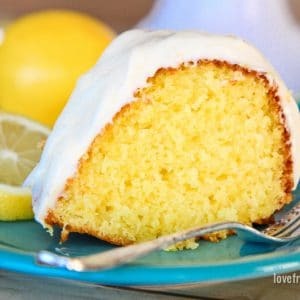 With Father’s Day coming up, I wanted to make a recipe that I knew my husband would be able to enjoy with our girls. 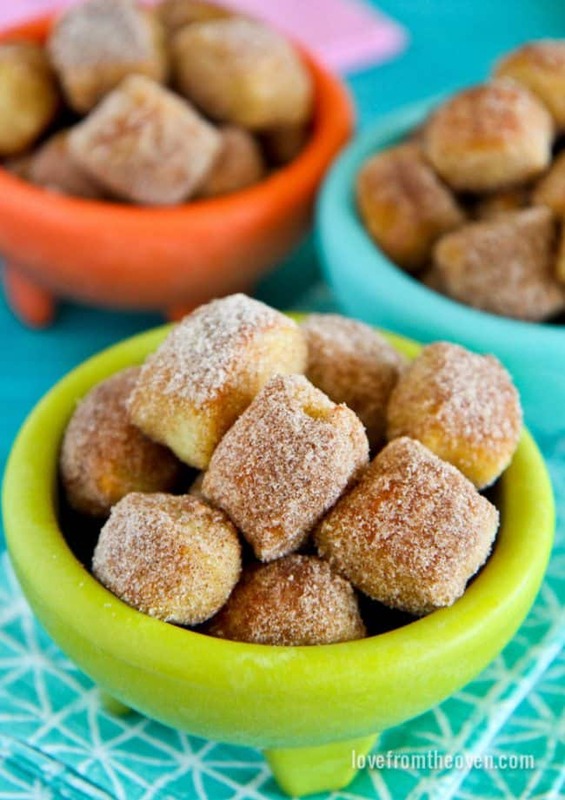 One of our favorite desserts that the entire family loves is cinnamon sugar pretzels. Any time we take the kids to the mall, they instantly point out the location of the pretzel place. There is something almost magical about the combo of warm, soft pretzels, with a buttery, cinnamon sugar coating. Because one of our girls has food allergies, we rarely get to actually enjoy this delicious treat when we go out. I’m not sure why, but I’ve never tried to make them at home. Pretzels always seemed complicated to me because it involves baking with yeast, which I know I’m not alone in saying that can sometimes be intimidating, and then there is the putting in boiling water before baking step. I’m all about keeping it quick and simple, and pretzels never seemed to fit that bill… until now! 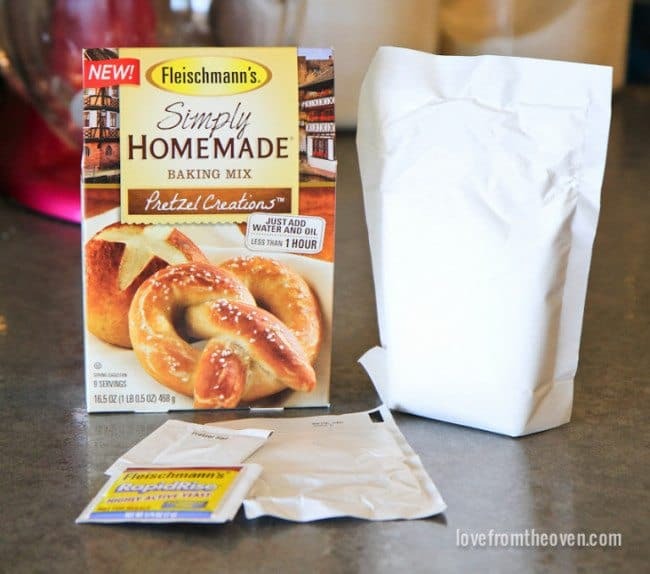 When my friends at ACH Food (who bring us great brands like Fleischmann’s Yeast, Karo® Syrup, and Fleischmann’s® Simply Homemade®) asked if I would like to try their Fleischmann’s® Simply Homemade® Pretzel Creations™, this seemed like a great chance to overcome my hangup about making pretzels at home. And let me tell you, I am SO glad I did. 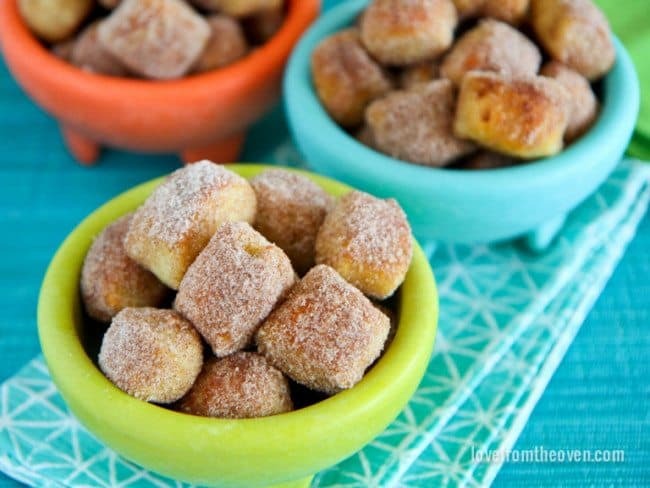 I’ll say it now, the cinnamon sugar pretzel bites I made from The Simply Homemade Pretzel Creations might be one of my favorite recipes all year! They are THAT good. And, surprise, surprise, they really are very simple. When you open the box, you find everything you need to make your pretzels, including my favorite Fleishmann’s Rapid Rise Yeast, which is my go-to when I bake with yeast. The mix comes together quickly and easily. 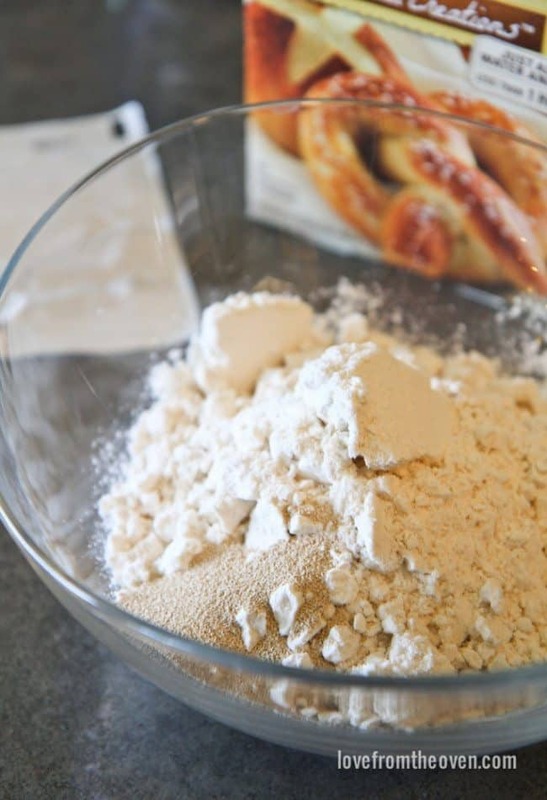 If you don’t bake with yeast often, don’t let it scare you. Fleischmann’s® RapidRise® Yeast is easy to use, and you will get a great result. In no time you have your dough ready for a rest and rise. Once your dough has had some time to rise, you can roll it out. 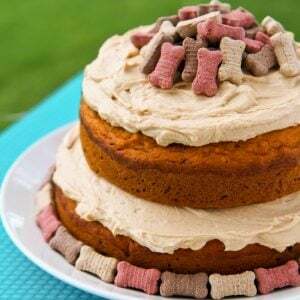 My daughter helped me do this part, and it really was a great recipe to make together. Once your strips are rolled, it’s time to cut them into bites. 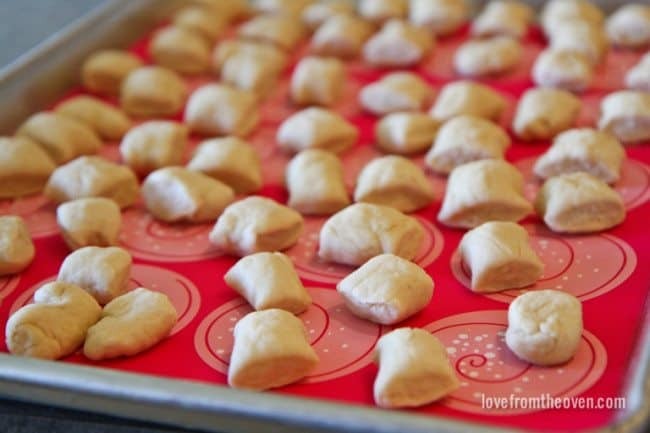 Before you bake these, they go for a dip in boiling water with baking soda. The baking soda comes right in the mix, so you don’t even have to measure it out. They are only in the water for about 15 seconds each, before you remove them with a slotted spoon and put them onto your baking sheet. It sounds involved, but it actually moves quite quickly. 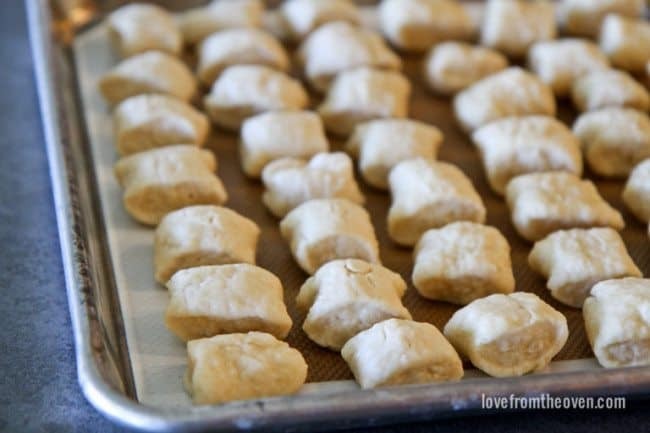 Once all of your pretzel bites have taken a dip in the boiling water and are placed onto your baking sheet, it’s time to put them into the oven. They brown up nicely and your house smells amazing in the process. 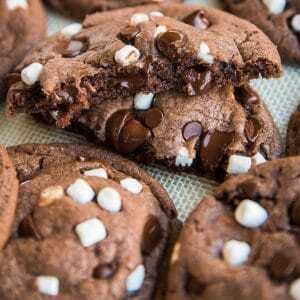 My kitchen became very popular when these were in the oven! 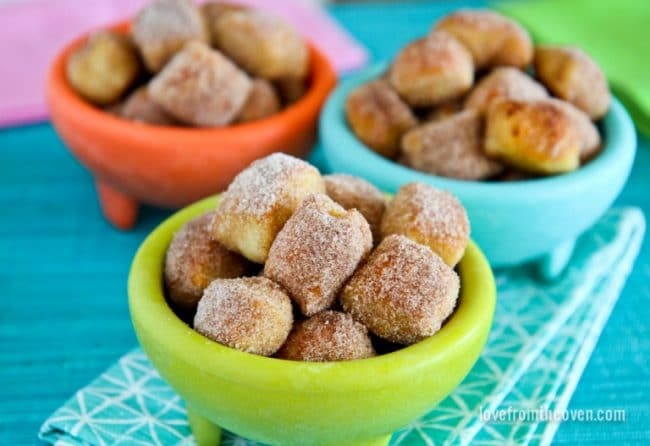 Once they are done baking, it’s time for these tasty bites to get their cinnamon and sugar on with a little help from our friend, butter. 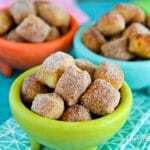 There are quite a few ways you could do this, but my daughter and I opted to brush all the pretzel bites with butter, then transfer them a few at a time to a bowl with our cinnamon and sugar mixture. This worked really well, and wasn’t as messy as I expected it to be. I was pleasantly surprised at how quickly we had these done, from start to finish. I highly recommend serving them immediately after making them. They are like little bites of delicious magic. My husband loved them, even saying that they were so good he didn’t mind doing the dishes at all (a big thing in our house!). 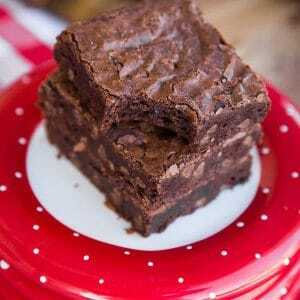 I will definitely be baking these again on Father’s Day. If you love pretzels as much as we do, and haven’t tried making them yourself, you have to try Fleischmann’s Simply Homemade Pretzel Creations. 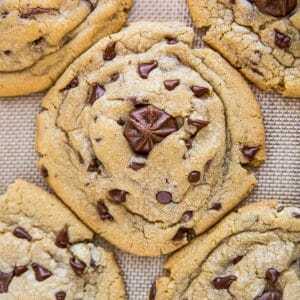 You will be thrilled with how easy they are to make, and blown away with how delicious they are. Those mall pretzel bites have NOTHING on these. As soon as we finished, I wanted to run to my store and stockpile more boxes of Pretzel Creations. 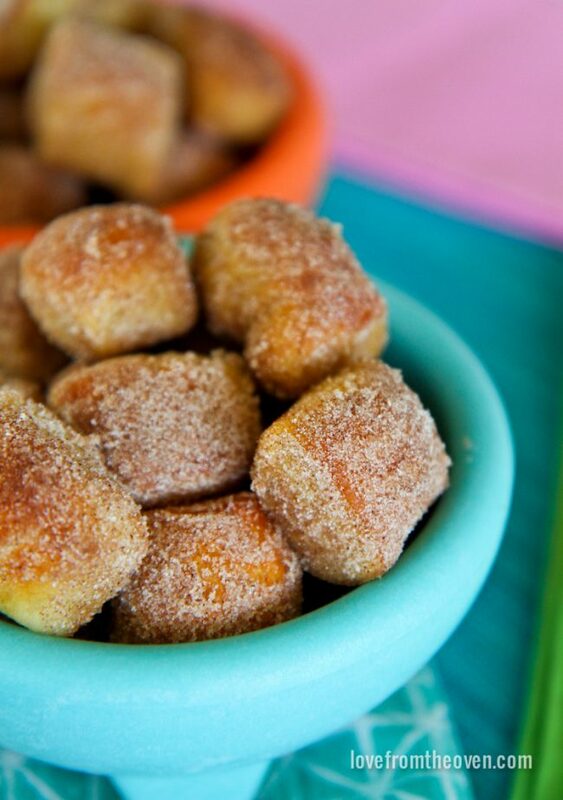 Makes approximately 80 Cinnamon Sugar BitesRecipe adapted from Fleischmann’s® Simply Homemade® Pepperoni Pretzel Bites. 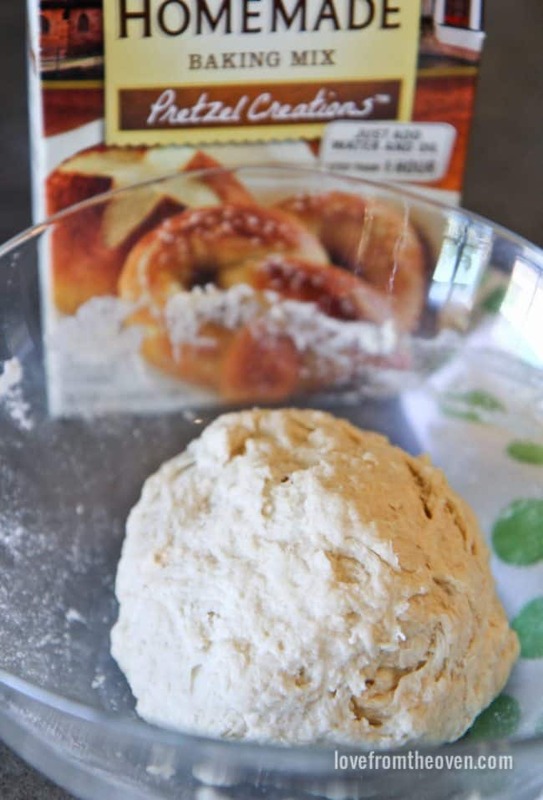 Combine pretzel mix and yeast in a large mixing bowl. Add very warm water and oil and stir until thoroughly combined. 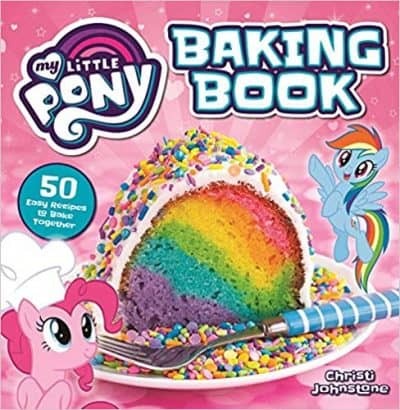 (Dough may be stiff; use hands if desired). 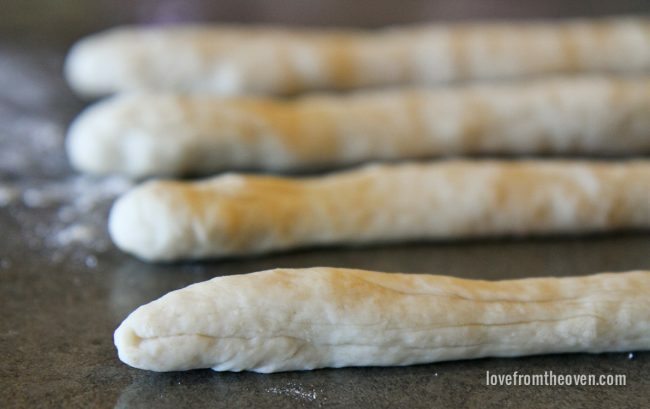 Divide dough into 8 equal portions; roll each into a 16-inch long rope. Cut each rope into 10 pieces, each piece will be about 1-1/2 inches long. Place the pieces (bites) on 2 greased baking sheets (they can be placed quite close together). Cover bites with towel to prevent them from drying out. Repeat with remaining dough. 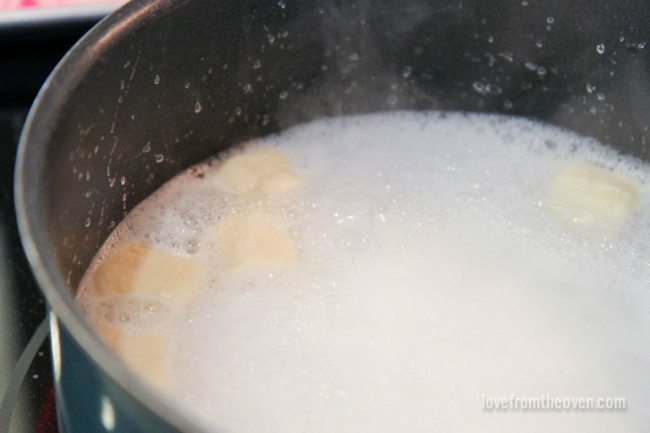 Combine 6 cups water with baking soda in a large deep saucepan until water boils (mixture will be foamy). 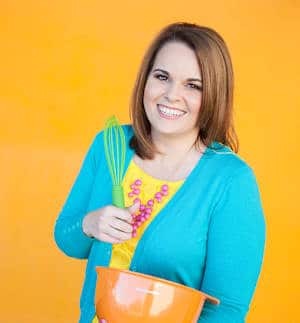 Using a slotted spoon or spatula, dip bites (4 to 5 at a time) into the boiling water for about 15 to 20 seconds, until they rise to the surface. Remove from water and place back on baking sheet. Continue with remaining bites. Bake for 5 minutes and then switch pans to promote more even browning. 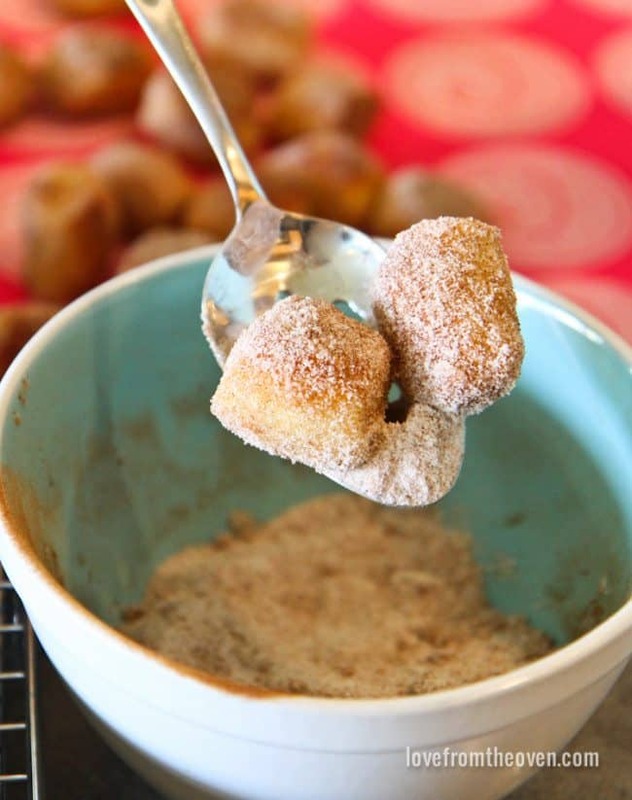 While bites are baking combine cinnamon and sugar in a medium size bowl and stir to combine. Bake an additional 5 to 7 minutes until golden brown. 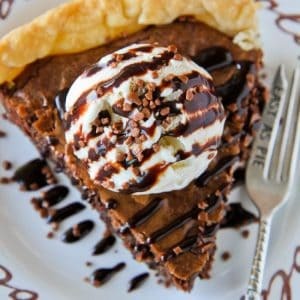 Remove from oven and immediately coat bites with melted butter using a pastry brush. Working four or five bites at a time, transfer bites that have been brushed with butter to the bowl containing cinnamon and sugar mixture. Coat with cinnamon sugar mixture, then transfer to a clean baking sheet. Repeat with remaining bites. Bites are delicious served warm and are best eaten the same day. Recipe note: You won't need the pretzel salt for these. If you’ve been wanting to try your hand at making pretzels, now is your chance. It’s so simple, and the results are incredibly delicious. Disclosure: This post was sponsored by ACH Foods. All opinions however are mine and mine alone. 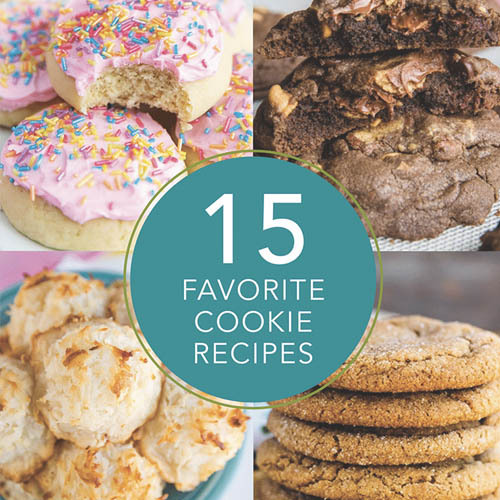 Christi, these look delicious, and I love that they are so simple to make! I am not a fan of regular pretzels, but I’m a sucker for a soft pretzel any day! And a cinnamon/sugar coating is the clincher! Thanks for sharing this easy and yummy snack! Hi. 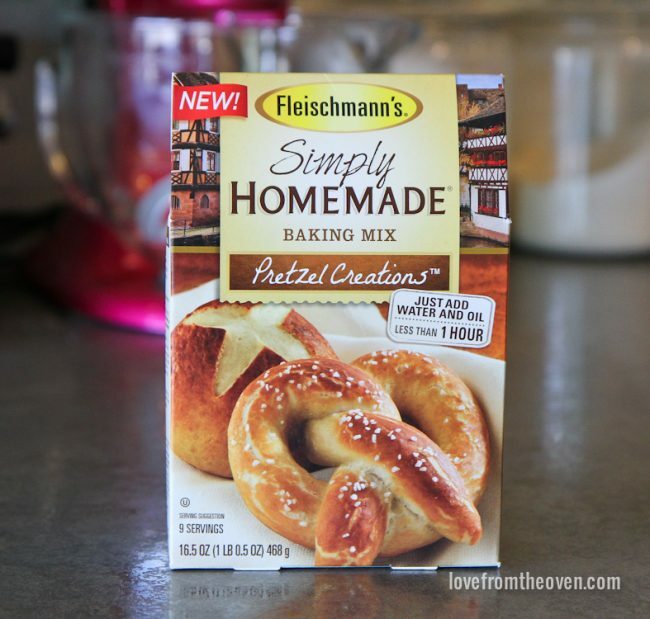 Can you tell me where you purchased the Fleischmann’s Simply Homemade Pretzel Creations? Thank you. 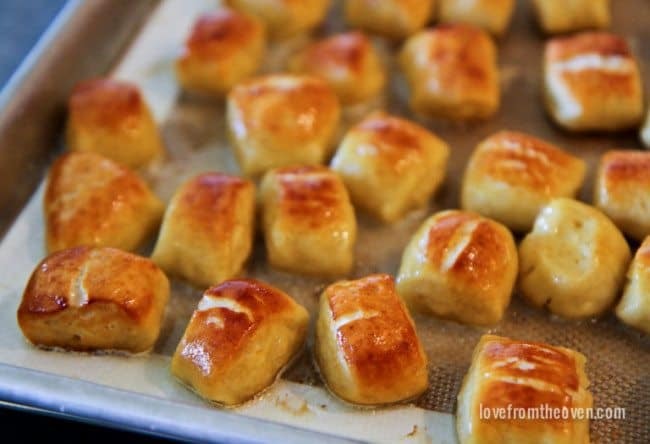 I’d love a whole plate of these pretzel bites. So good! Pinned!